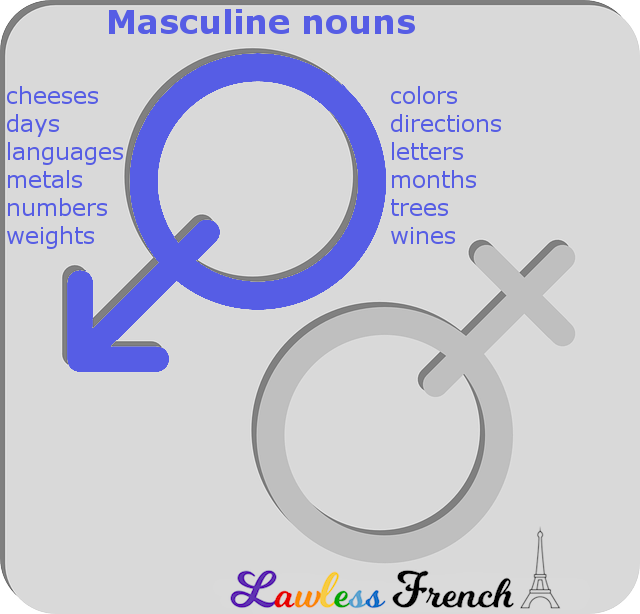 There’s no simple trick to knowing the gender of every single French noun (other than looking in a dictionary), but there are several categories of words that are always or usually masculine. 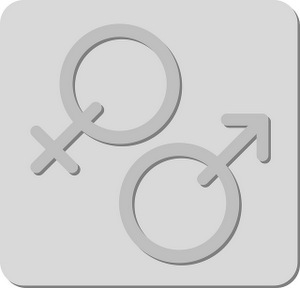 Une date is feminine, but the dates themselves are always masculine. La couleur is feminine, but all colors are masculine when used as stand-alone nouns. However, when the color is replacing a noun, it has to agree: Tu préfères la chemise verte ou bleue ? La verte. La boisson is feminine, but most drinks are masculine. Any food that doesn’t end in -e is masculine. All countries that don’t end in -e are masculine. All infinitives are masculine when used as nouns. Le chiffre, le nombre, and le numéro are all masculine, as are most numbers. La mesure is feminine, but le poids and nearly all weights and measures are masculine. Previous Poisson d’avril – Finis les genres !